We are located 20 minutes west of Collingwood on Highway 26. 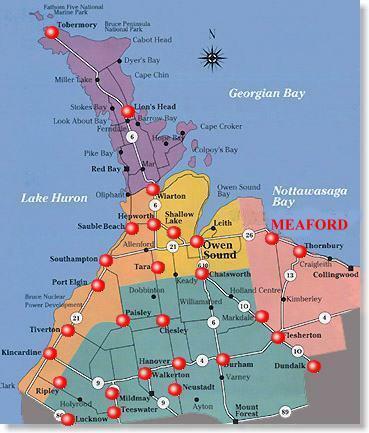 Follow Highway 26 to Meaford. Turn right at Trowbridge Street (the second set of traffic lights). As you drive over the bridge, look to your left and you will see a large white boat with a fly bridge located on the right hand wall. After crossing the bridge turn left onto Don Bumstead Drive. Immediately across from the Welcome to Meaford sign, there is another road to the left. Turn down there and park in any available space. Our dock is located across from the washrooms (the brown building on your left). 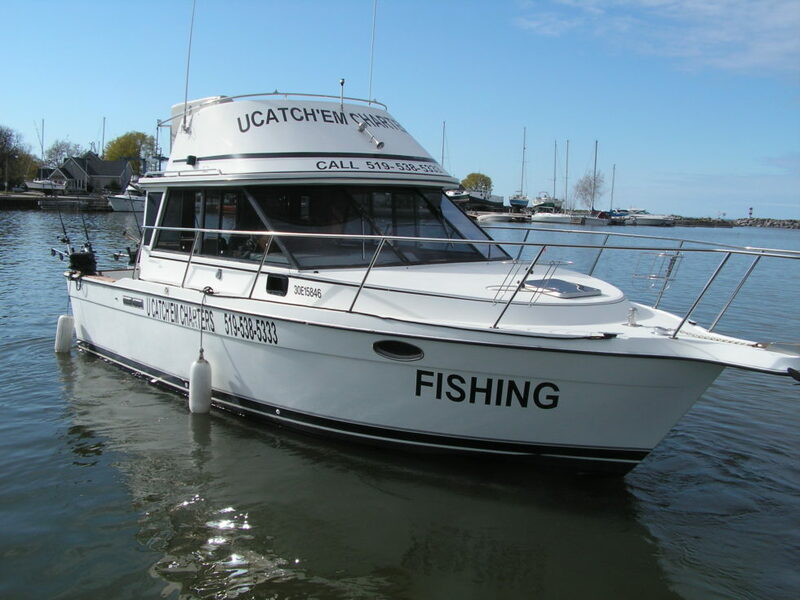 The name on the side of the boat is U CATCH’EM CHARTERS.